The Southern Cotton Shippers Association was organized in 1916 by a group of shippers from the Mississippi Delta and the Memphis market for the purpose of establishing a permanent arbitration board in New England on which the shippers of cotton would have their own representative. The successful outcome of this endeavor blazed the trail for shipper representation on arbitration boards in this country and abroad. In 1926 the territory of the Southern was enlarged to include the entire states of Tennessee, Mississippi, and Louisiana. In 1955, the organization’s name was changed to “SOUTHERN COTTON ASSOCIATION”. In 1990 the Southern merged with the Arkansas-Missouri Cotton Trade Association, headquartered in Pine Bluff, Arkansas, and the territory of the Southern was enlarged to also include the states of Arkansas and Missouri. The combined memberships of all of the Affiliated Associations form the membership of the American Cotton Shippers Association. John Stevens works for ECOM USA, LLC as a Cotton Merchant focusing on the Memphis/Eastern Territory. Prior to joining ECOM he worked for the USDA-AMS. John is a graduate from Arkansas State University with an MBA and received his undergraduate from the University of Arkansas in Agricultural Economics. He has also completed the American Shippers Association Cotton Institute in 2001 and National Cotton Council Emerging Leadership Program in 2018. John has served the National Cotton Council on various committees as member and or delegate since 2009. John is a native of Arkansas and now resides in Memphis with his wife and 3 children. When not working he enjoys spending time with his family outdoors. 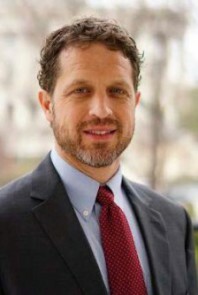 John Stevens, Vice President, ECOM USA, Inc.